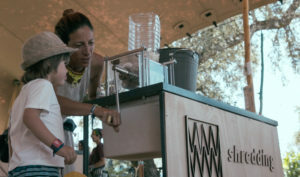 Ana Salcedo, co-founder of Zero Waste Lab gives an interview to Additive News to explain what is plastic0circular, its strategy, and objectives. The revolutionary project is trying to reach partners to invest in the all process of recycling used materials and to promote the importance of recycling to the public. 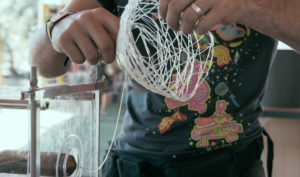 Festivals and schools are the places of activity and 3D printing is increasing the number of fans due to its dedication. 1- Tell us about how plastic0circular, coordinated by Zero Waste Lab, started its mission. AS: -Plastic0circular is a result of a super dedicated collaborative effort. Well, I consider the best way to work! About two years ago, we finally started talking more seriously about sustainability at mainstream music festivals (even funding lines were made available to make it easier about recycling at these kinds of events), I joined Lindsey Wuisan (Circular Economy Portugal) to design innovative ideas to present to the Portuguese festivals. Inspired by PreciousPlastic, Dave Hakkens’ open-source project , and in the various projects that unfolded from there, we discovered the Perpetual Plastics Project of Better Future Factory, also Dutch, and we made the contact, in order to the more didactic aspect of the project. We were already in contact with a series of makers in Portugal that were interested in building the machines in our country, so we put together a capable team at FabLabLisbon, we invite BFF to come to Portugal to teach us to operate some tools, and the rest was invented and created by ourselves. 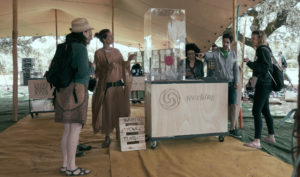 We presented a proposal and we got a positive, happy and curious response from the festival that leads the broad steps and has in its genesis the path of sustainability in Idanha-a-Nova, Portugal – the Boom Festival. With IdanhaCulta (association) and Sê-lo Green program as sponsors, in addition to the entire volunteering team in the execution, it was possible to launch the plastic0circular project, which was inaugurated in Being Gathering 2017. From time to time (and between events in Boomland), people have been actively assisted as educational tools in numerous events and schools, where participants have the opportunity to experience a circular economy in action in 15 minutes! 2- How does Zero Waste Lab uses 3D printing? AS: 3D printing is an extremely disruptive technology that allows people to locate the production of objects, in the places and in the quantities in which they are really needed. In this way, it hardly fights against the waste while reduces the ecological footprint of traditional production methods, especially in the global and decentralized marketing context, where the material lifecycle sometimes takes several turns around the planet, leaving a strong trail of pollution on the way. However, the “traditional” 3D printing still uses virgin plastic filament as the raw material when it could use recycled plastic. It is also the challenge that this project launches to the community of makers. 3- What techniques does Zero Waste Lab uses to recycle the products? 4-What types of material is Zero Waste Lab enable to recycle? AS: Only plastic, and even within this category, we can only recycle some types of plastic, namely PS (polystyrene), PP (polypropylene) and various bioplastics / PLA. There are 7 major categories of plastic, each with a different melting temperature. Categories 1 and 2 have a high recycling value, but the following less, eventually going to landfill or incineration. These are the recyclable plastics that we can transform better with these machines. 5- What 3D printers does Zero Waste Lab use? AS: Blocks, a Portuguese brand. 6- What are the next plans/objectives to be achieved by the project? AS: We would like to collaborate with makers interested in improving the productivity of these machines… so that we can have a demonstrative option and a productive option. On the other hand, encourage new businesses of producing recycled filaments. Our main goal, as an Association, is to pilot solutions with scale potential, I mean, make it possible to the mass. 7- How long does it take to print a plastic cup of half a pint, for example? AS: Depending on the design and thickness, from 2 to 5 hours. But we do not promote plastic for food use in any way! In fact, we combat this use. There is increasing scientific evidence on the impact of plastics on health, namely the presence of poorly regulated additives with a strong potential for endocrine disruption. 8- How people do react facing a 3D Printer “in action”? AS: Delighted, everyone! In events, most people have heard but only a few people have seen. Interestingly, in programs with schools, the kids recognize the process because their parents have one at home or at work, which is extremely interesting and encouraging. 9- Whither can Additive Manufacturing technology change the world in terms of recycling? AS: -There is a broad spectrum utility for recycled plastic allied with Additive Manufacturing, as replacing damaged parts, promoting repair instead of disposal, and perpetuating consumption. How many times do we want to repair an object and hear from the other side of the phone, “Sorry, this part is no longer manufactured, or this version has been discontinued…”. 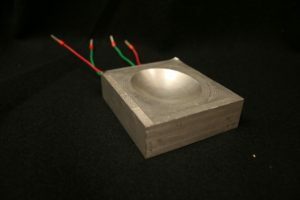 Through 3D printing, we can print these parts and extend the life of objects and machines!